Euromanson is a beautiful mansion built in a modern style for those who appreciate comfort and roominess. 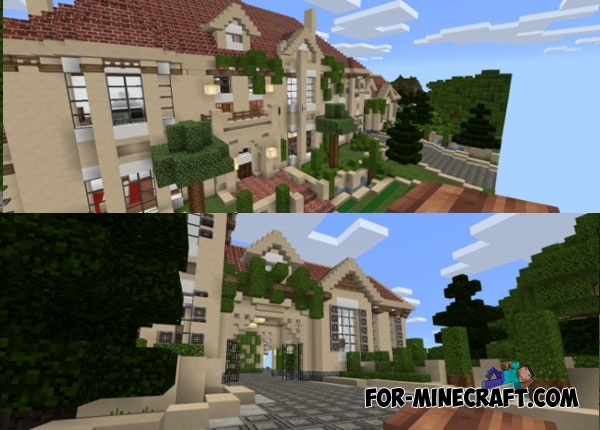 To better dive into the style of the house you need to download Pamplemousse PE texture pack which is perfect for this. Inside you will find lots of different rooms and a corridor where there is a map description. Cozy gazebo, tennis court, guest house, several garages are outside the territory of the mansion. Almost every room has a sign with the description. 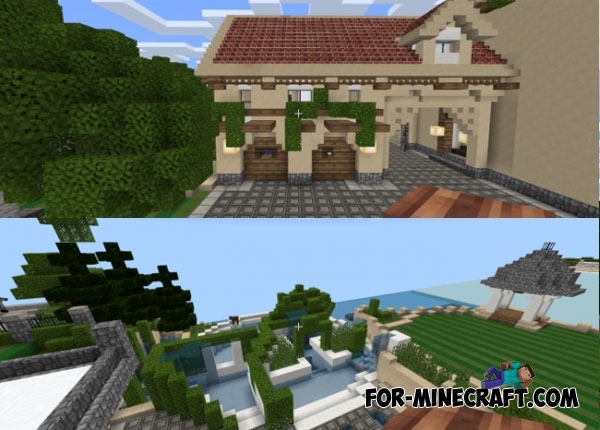 Simply Modern PE Texture for MCPE 0.16.0Simply Modern PE is fairly simple texture pack for Minecraft PE 0.16.0 due to which all elements of the game will become more simplified..
Pamplemousse PE texture for MCPE 1.2/1.6+Pamplemousse PE pack has a HD quality with maximum simplified detailed characteristics of blocks and items in Minecraft Pocket Edition.